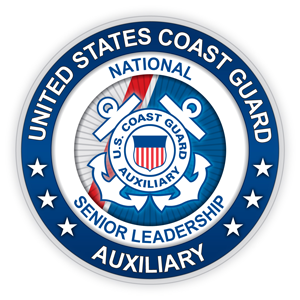 Commodore Alex Malewski joined the US Coast Guard Auxiliary in 2000 and was elected to the position of Vice National Commodore, starting in November 2018. Commodore Malewski previously served as Deputy National Commodore Atlantic East and Operations and District Commodore District 1 SR. He is qualified as a Coxswain, Aircraft Commander, Public Education Instructor, PATON Aids Verifier, AUXOP, Vessel Examiner, and Personal Water Craft Operator. He was the Coxswain of the first “All Aviator” team to win the District 1 SR Surface SAR competition. He has served as a Staff Officer in Member Training, Communications, and Finance and held various elected positions. Commodore Malewski has been recognized with the Coast Guard Auxiliary Meritorious Service Medal (3 times), Coast Guard Auxiliary Award of Operational Merit, Coast Guard Auxiliary Operational Excellence “E” Ribbon, Auxiliary Commendation Award, CG Meritorious Team Commendation (7 times), CG Meritorious Unit Commendation (2 times), CG Unit Commendation (2 times), and a Presidential Unit Citation. He attended the College of the Holy Cross in Worcester, Mass where he received a degree in Chemistry and Saint John’s University School of Law where he received a Juris Doctor. Commodore Malewski worked as an Assistant District Attorney in New York City and is now a partner in a small General Practice law firm in Brooklyn, New York. Commodore Malewski lives in Seaford, New York with his wife Renee and has two daughters, Krystyna and Katherine.